With the NordicTrack Elite 3200 TV treadmill the manufacturer helps you combat workout boredom by putting a television screen right on the display console. Their goal is to make fitness fun and obviously feel that a TV needs to be up close and personal, rather than across the room. UPDATE: The Elite 3200 TV treadmill has been discontinued and is no longer available. Check out our expert's top Incline Trainer picks here. 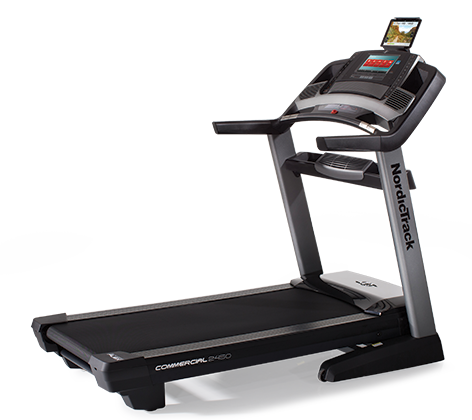 NordicTrack treadmills are big, beautiful, powerful, and are making great strides in providing better cushioning on the deck. As for any downsides to the Elite 3200 TV treadmill -- apart from the short warranty on parts and labor -- the only thing we would question would be its rated maximum user capacity of 400 pounds. Obese people need treadmill work as much if not more than anyone else, but such a capacity level is deceiving on treadmills. The user weight probably should not exceed 350 pounds. Owners aren’t reporting many problems with the television unit on the NordicTrack Elite 3200 TV treadmill -- although it’s the first piece of electronics you would think you would have trouble with. But the machine is stable enough to control vibrations of the moving belt and your weight of your foot falls, so perhaps it isn’t such a worry. 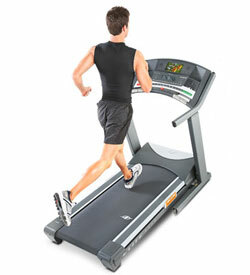 There are dozens of Nordic Track treadmills to choose from but only three come with TV screens, such as the Nordic Track Elite 3200 TV treadmill, which sells for around $2200. Users who prefer talk radio or a personal music player can easily save $500 and buy the Elite 2900 instead. Otherwise, the only drawback to this machine might be the limited warranty. You can buy an extended warranty of course but you shouldn’t have to -- parts should be warranted for 3 to 5 years, not just one.